When it comes to media storage, most people save all their media files (photo, audio and video) in their computers. This makes it very convenient for you to enjoy your music or video directly on your computer. 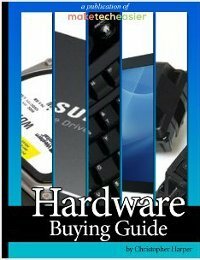 However, if you want to enjoy your Blu-ray video on your HDTV, how can you get the video from your computer to the TV quickly and without much hassle? 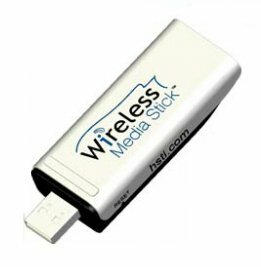 The Wireless Media Stick is a virtual USB thumb drive that you can plug in to your TV and stream your media files directly from your computer. It also works with any other media player that comes with a USB port. 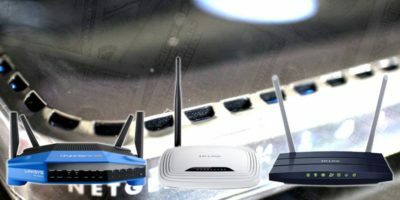 If you hate the messy wires and complicated setup just to get your video to play in the TV, this is probably one device you will be interested in. The wireless media stick works with Windows, Linux and Mac. 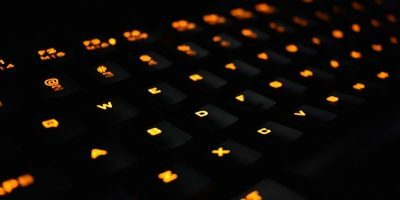 Before you can use the stick to stream your content, you need to configure it in your computer. In Windows, plug in the stick to your USB port, open your Windows Explorer and its content folder. 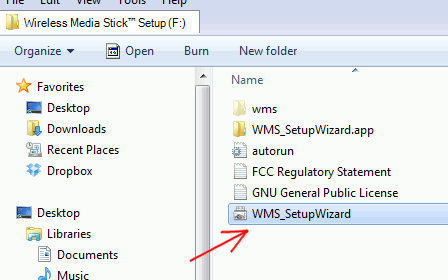 Double click the “WMS_SetupWizard” to run the installer. 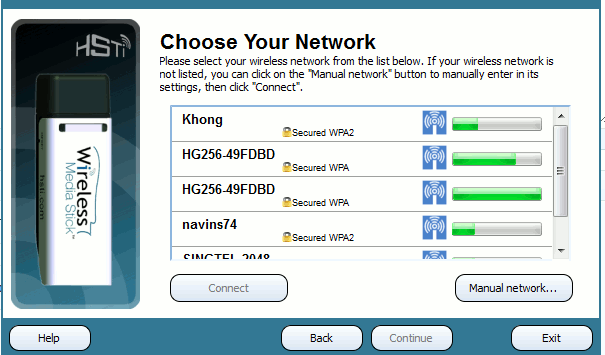 As part of the setup, it will prompt you to select your Home wireless network. Once you are connected to the wireless network, the next step is to select the file sharing type. For Windows, you can just select the “Basic File Sharing” option. Next, you will be prompted to select the folders to share. Select all the folders where you store your media files. Once the setup is completed, unplug the media stick from your stick and plug it into your HDTV (or any other media player). Wait for about 60 seconds for the media stick to boot. Once it is done, you will be able to select your media files and stream them from your computer. 1. Your computer need to be running and remain running while streaming. 2. The streaming is done via your Home network and router. The media stick have to be reconfigured if you bring it out of your Home network zone. 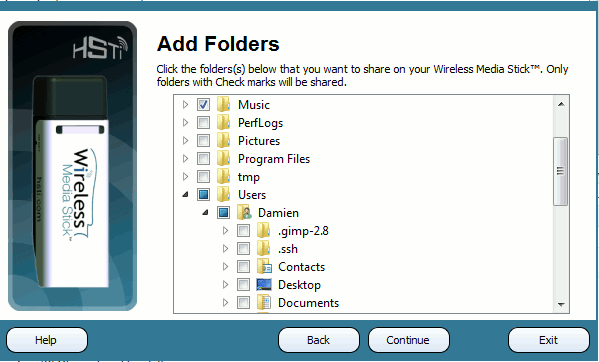 Other than streaming media from your computer, the Wireless Media Stick can also connect to your Android device. 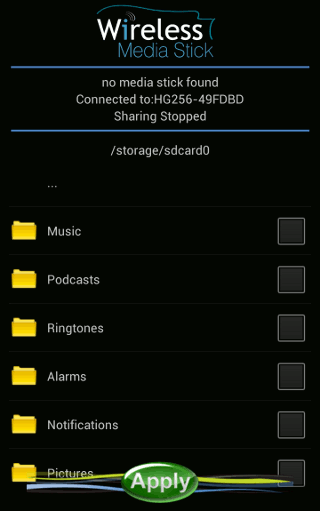 Once connected, you will be able to share your files (in Android) to the a computer. Install the media stick app from Google Play. When you run the app, it will scan for the existence of the media stick and connect to it. Once it is connected, you can then select the files/folders that you want to share. This is particularly useful if you you need to send a file over to your friend’s computer urgently from your Android phone. The Wireless Media Stick is available for US$89.95. Thanks to hsti.com for providing us with the Wireless Media Stick to test and review. If using files stored on a NAS, surely the computer doesn’t need to be on to stream content? this case, is similar to the computer constantly on.